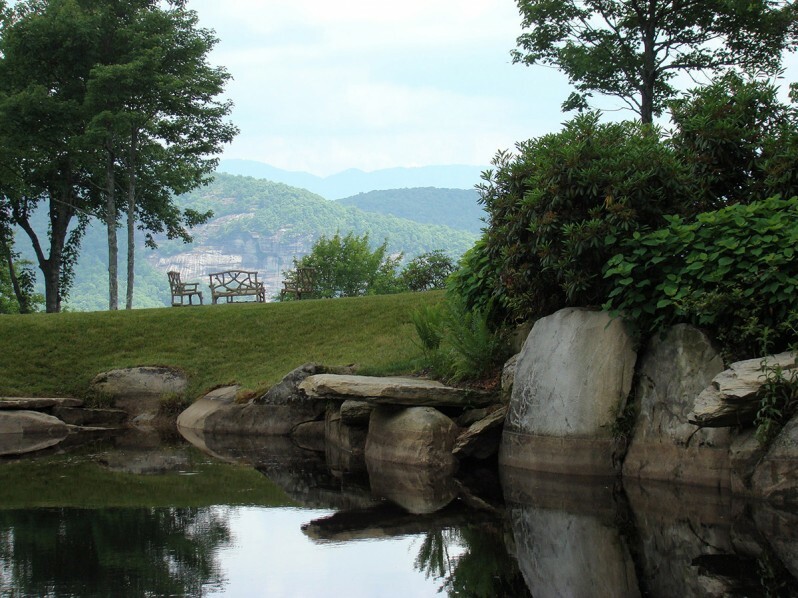 The Southern Highlands Reserve is a botanical garden and native reserve that demonstrates ecologically sustainable land preservation and landscape design for the Blue Ridge Mountain region of Western North Carolina. 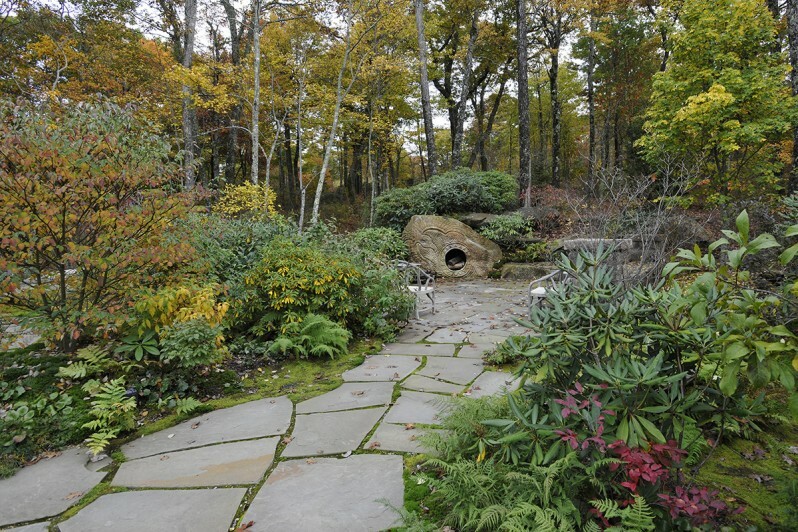 At its core, a ten-acre woodland garden was created in a design vocabulary abstracted from local ecosystems. 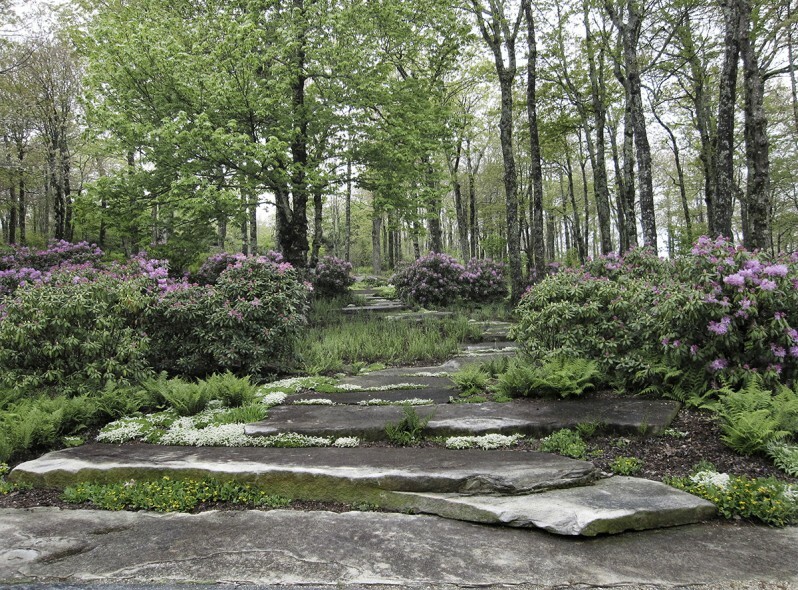 Masses of rhododendrons surround the Maple Entrance. The steps are single granite slabs. 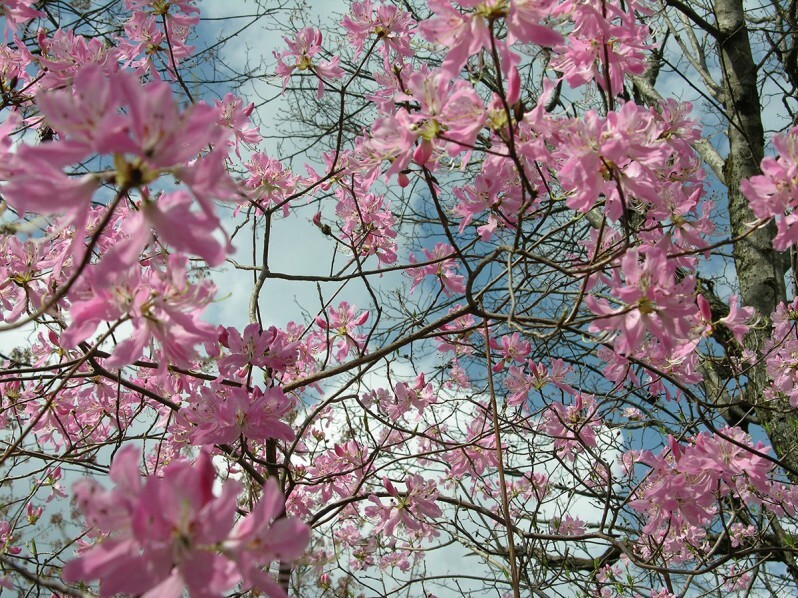 The Vaseyi Trail passes beneath a ten-foot-high canopy of fragrant pinkshell azaleas. 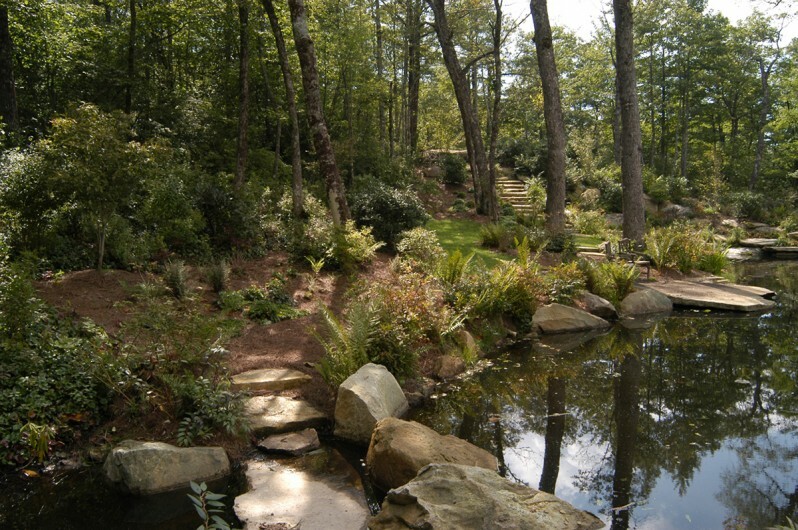 The Vaseyi Pond provides the Reserve’s irrigation water, and is a setting for educational programming. 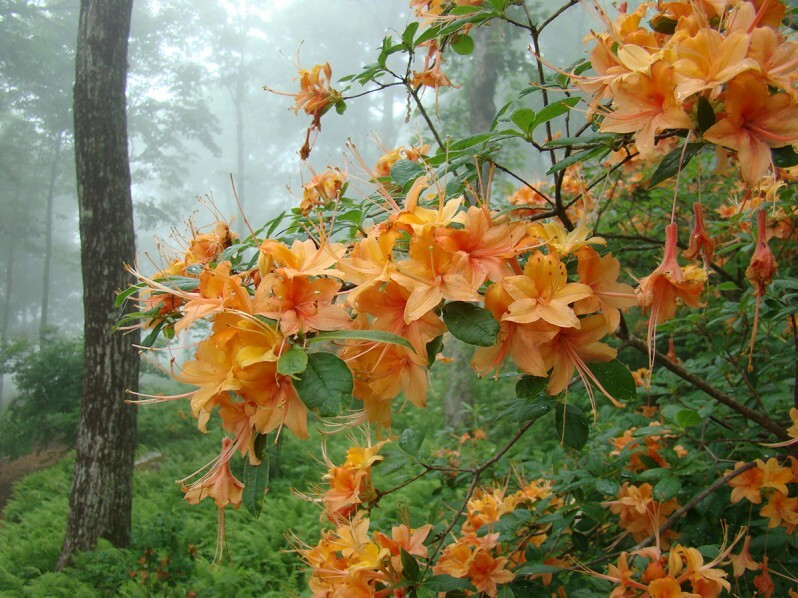 The site had many existing masses of fragrant flame azaleas. 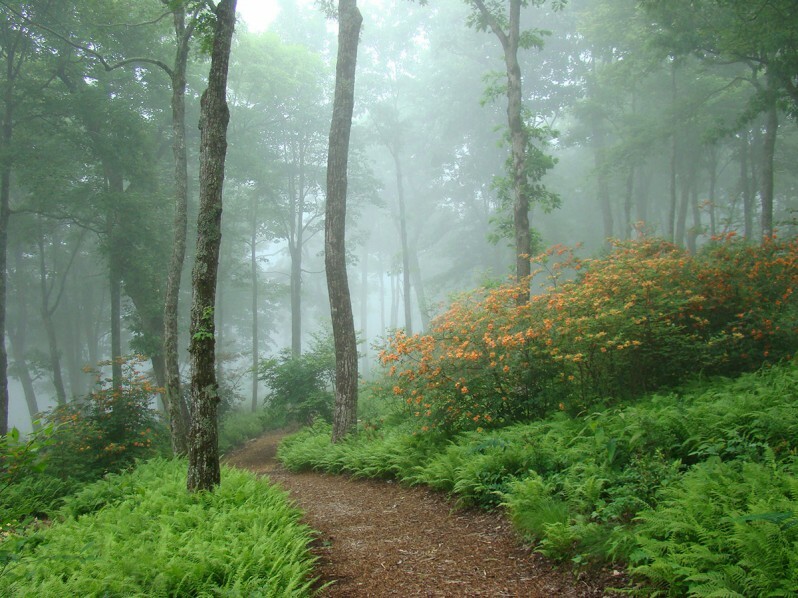 In the Azalea Walk, clumps of mature flame azaleas were connected with a serpentine path, the ground plane simplified with uniform sweeps of ferns. Adjacent to the Chestnut Lodge, the roof above the maintenance garage supports an outdoor living room. The Wildflower Labyrinth is built above a leach field. 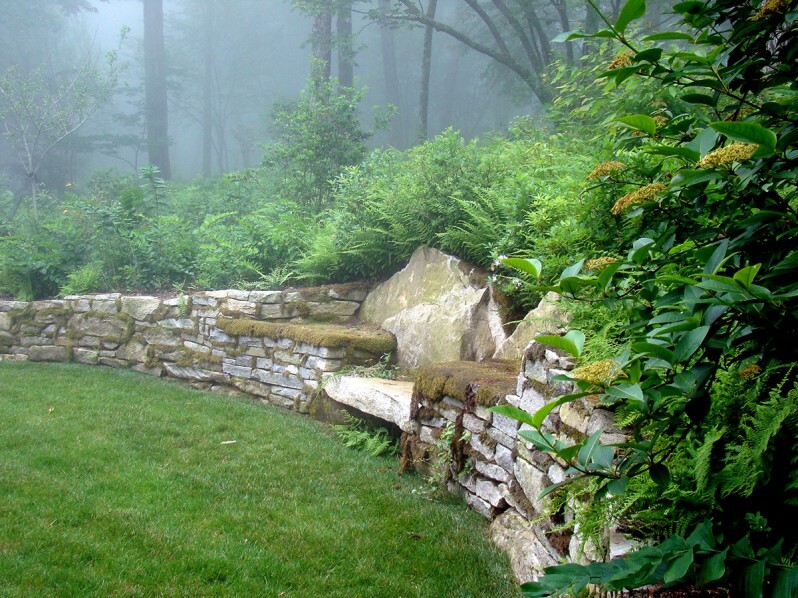 The moss-covered Betty Bench is embedded in a retaining wall. 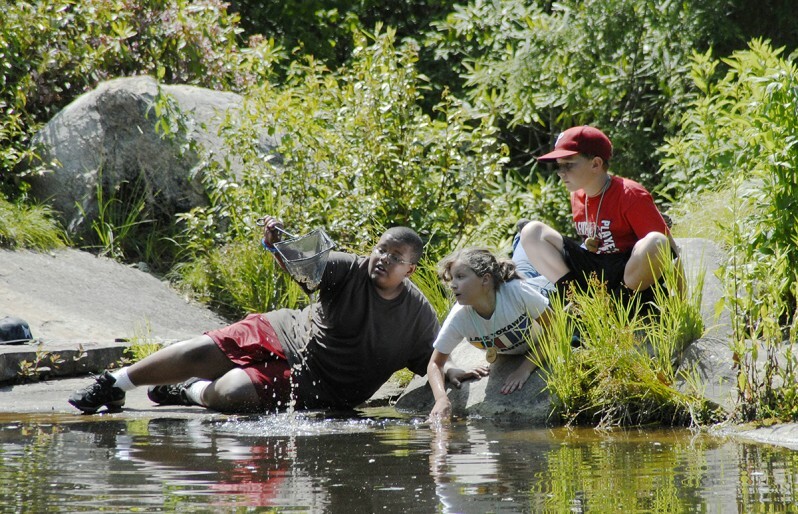 School groups study the aquatic ecosystem in the Vaseyi Pond. 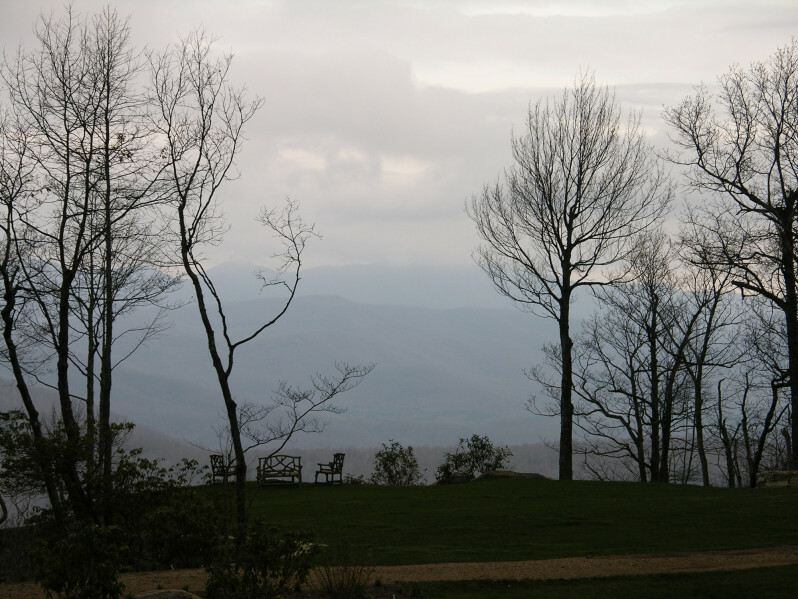 The view from the Vaseyi Pond. Watercolor sense of place studies. 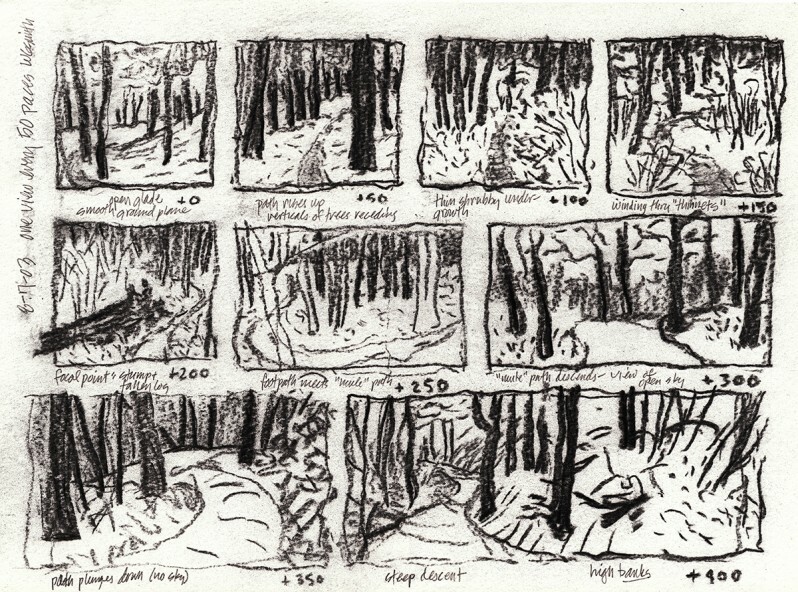 To begin the design process I wandered through the woods, sketching scenes that attracted my interest. 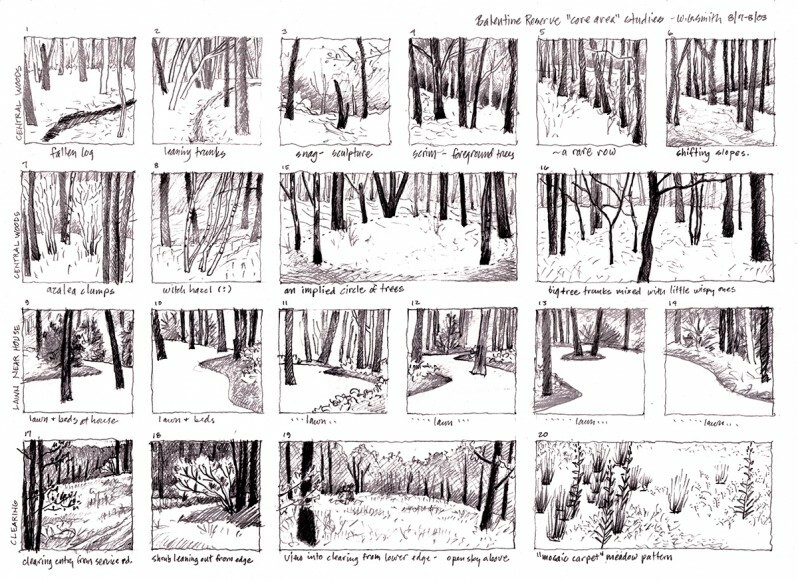 In this exercise I stopped every 50 paces to sketch whatever the woods had to offer.